While giving this information, an official spokesman said Haryana government has taken various steps for creating peace and harmony in the society and to deter the individuals from taking law into their hands in view of the incidents of lynching and mob violence. 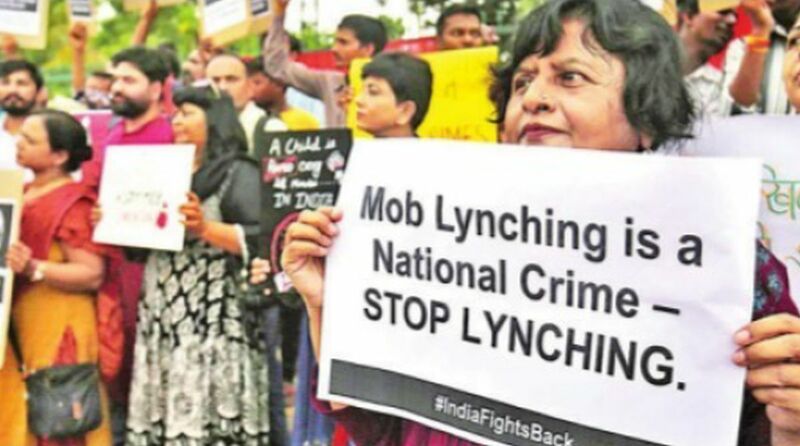 To prevent incidents of mob lynching, Haryana government has ordered for registration of criminal cases against individuals circulating irresponsible and explosive messages, videos and other material on social media with tendency to incite mob violence. While giving this information, an official spokesman said Haryana government has taken various steps for creating peace and harmony in the society and to deter the individuals from taking law into their hands in view of the incidents of lynching and mob violence. The Commissioners of Police and Superintendents of Police have been designated as Nodal Officers to investigate such cases. The spokesman said that irresponsible and explosive messages, videos and other material on social media which have the tendency to incite mob violence and lynching of any kind are strictly prohibited. Under relevant provisions of law, stringent action for registration of criminal case would be taken against such persons. He said that departmental action would be taken against those officers of Law enforcement agencies who fail to prevent such incidents despite having prior knowledge. The general public is requested to maintain peace and harmony and report the matter about any suspected event to the nearest police authorities and desist from taking law in their hands, the spokesman added. Besides this, certain area have been identified as sensitive areas and efforts are being made to eradicate hostile environment in these areas. Moreover, law enforcement agencies have been instructed to exercise their powers for prevention of such incidents and police patrolling is being carried out in the sensitive areas.